You are buying the First Quality Nu-Fit Underwear XL Black 58"-68" NU-514 100/cs - Model #NU-514 from First Quality. First Quality is a leading manufacturer of incontinence products including briefs, liners, underwear, diapers, and underpads. At ADW Diabetes, we do our best to offer the complete product line by First Quatliy with superior service and fast shipping. First Quality Nu-Fit Underwear XL Black 58"-68" NU-514 100/cs - offers superior absorption power while maintaining the appearance and texture of ordinary underwear. The cloth is extremely soft and gentle against the skin to ensure it stays healthy, as well as dry. 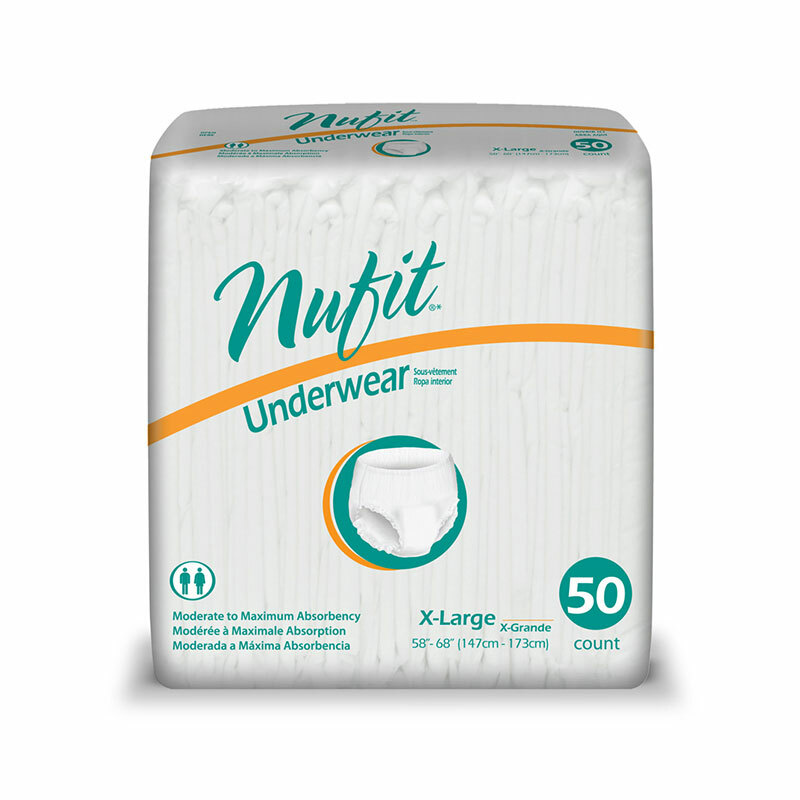 The Nu-Fit underwear is designed for individuals who require moderate to heavy bladder control protection.